The first large eye shadow I bought after doing my makeup couse was the Naked 2 Palette by Urban Decay. I had seen other people using it and I fell in love with the shimmery natural colours and it quickly became my go-to eye shadow selection. I had a little laugh a few months ago when I came across a very, very similar palette by MUA entitled 'Undressed' in Superdrug, and at only £4 I just had to buy it and do a little comparison. 'Naked 2' includes 12 colours which range from an almost translucent 'Foxy' to a matt black 'Blackout'. 'Undressed' also includes 12 colours, the most translucent being 'Shade 1', while 'Shade 11' and 'Shade 12' are shimmery charcoal/navy tones. Both palettes are heavy on the shimmers with only 2-3 matt colour offerings. Both palettes include a brush, the 'Naked 2' being a double ended shadow and crease brush which I don't love but could use if needed. The 'Undressed' palette has a double ended sponge shadow applicator which I have tried but failed to use well. The overall look of the 'Naked 2' is unsurprisingly better - the tin is sturdy yet sleek enough to fit easily into your kit. The 'Undressed' palette comes in a slim plastic case which is not great, but obviously your £4 is not going towards the packaging. I must say, after using both I am pleasantly surprised by how good the 'Undressed' is for the price. 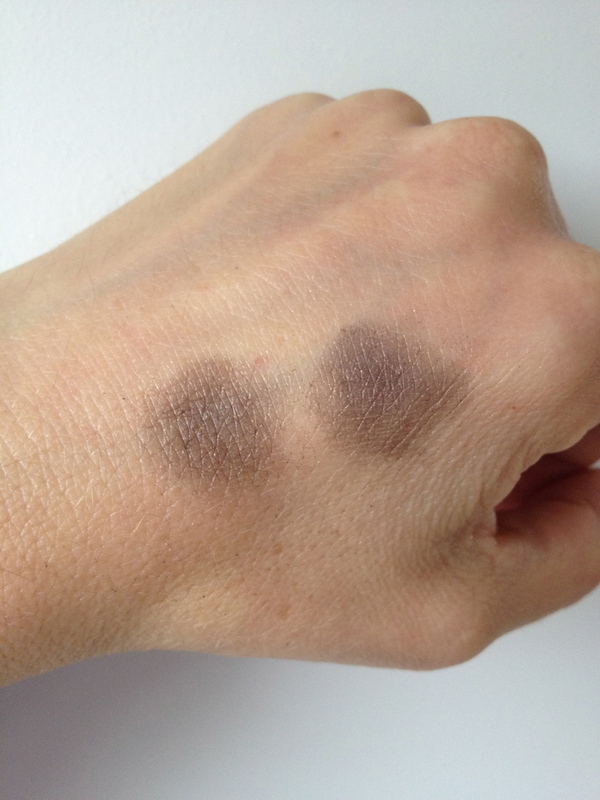 As you can see from the swatches I have done, the difference between the colour comparisons is minimal. For snob value, I wouldn't turn up to a job with it, but when in the privacy of my own home it is a cheap thrill which get used quite frequently. 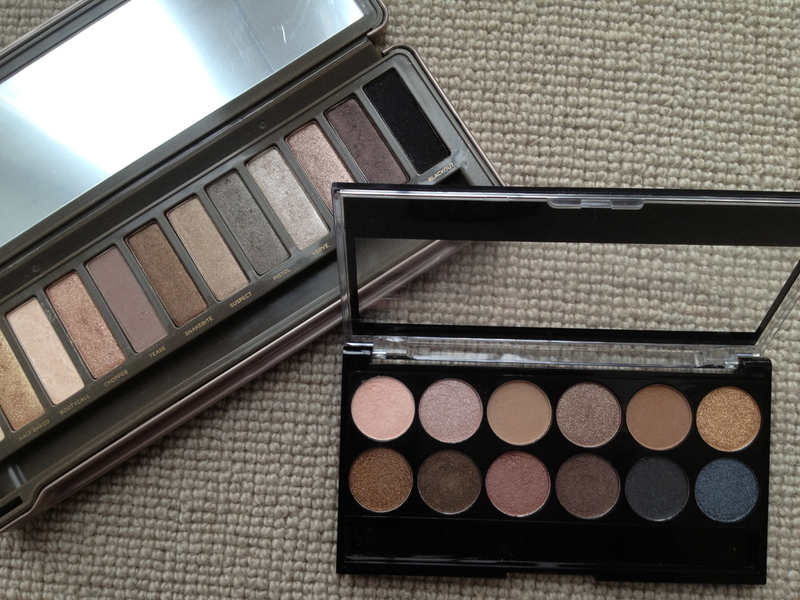 If you are in the UK you can buy the Urban Decay Naked 2 palette here and you can buy the MUA Undressed palette here. For those based in Australia and the rest of the world, MUA have an online store here and they ship internationally for £7.50.